Digital Domain created epic :45 TV spot for the popular game Assassin’s Creed Odyssey. The team was involved in nearly every aspect of this project including storyboards, concept art, previs, VFX and more. This complex shoot features the hero Alexios in the midst of an invasion against the Spartan people. 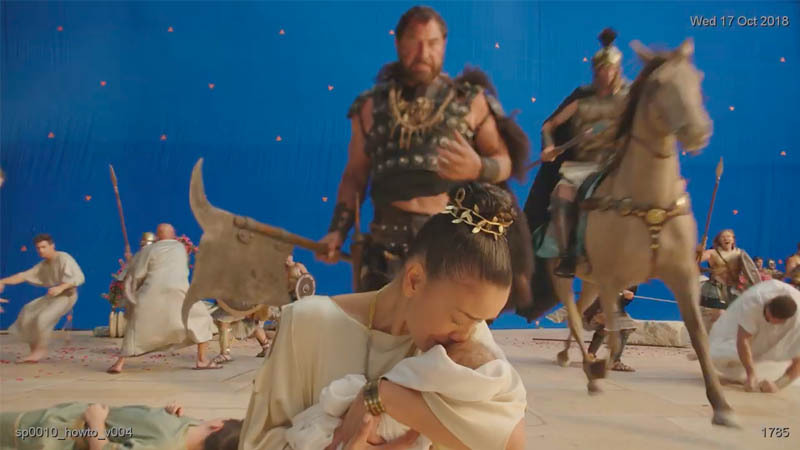 Leveraging the studio’s features expertise, Digital Domain team implemented a complex process of Motion Control which allowed 30 actors to appear to be roughly 200. A highly skilled team of 30 artists created a truly picturesque environment blending 60% CG elements with 40% live action elements and the result is a seamless dive into the chaos of battle.